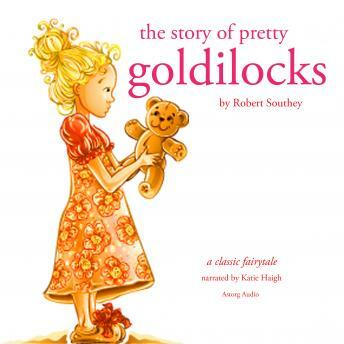 "The Story of Pretty Goldilocks" is a French tale written by the Countess d'Aulnoy. Well-known for her elegant and charming stories, the Countess is remembered today as the one who actually coined the term "fairy tale". Goldilocks is a princess so beautiful that a King falls in love with her at the mere sight of her picture; he then sends a prince to bring her back to him, so as to marry her. But the Prince, who goes by the name of Charming, will be the one winning the heart of the damsel despite himself. What follows is a tale of loyalty and perseverance; it will inspire little children around the world and teach them about the value of affection. This tale will make for a perfect bedtime story, or entertain your children at any hour of the day.